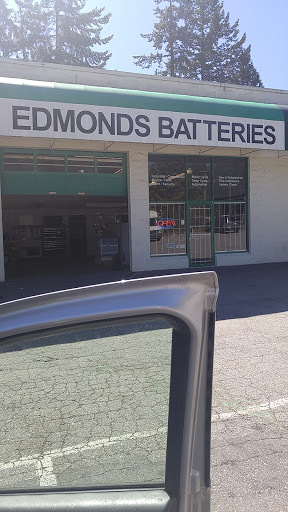 My boyfriend and I purchased our motorcycle batteries here because they are much cheaper than the dealerships. Weve saved at least $60 each for the same high-quality OEM battery the dealership wouldve sold us. When I went on my own, the guy was very knowledgeable and tested my battery first to make sure it really was dead. Im definitely recommending this place to my friends if they ever need batteries for their bikes as well. What a refreshing experience. They didnt try to sell me an RV battery right away. They tested my battery and told me Id get another year or two out of it. They said come back next spring and they would check it again. Nice to know they are honest and the other Google reviews are the same. I go here for all my battery needs. I work in the 12 Volt industry and Rick the manager is incredibly knowledgeable and a very honest person to deal with. I purchase NorthStar batteries from him for my personal vehicles and even I diagnostic tool for work. Highly recommended. Big thanks to Rick! I went in there with a problem with my battery mounts, and Rick went right to work and took care of the problem, and also gave me some good information on battery care and did it all with a smile. Thanks again Rick. Never had a problem with one of thier batteries. Great prices.